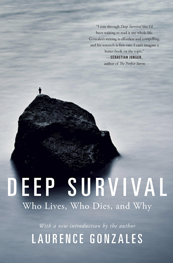 W.W. Norton Publishers has reissued Deep Survival in this new edition in recognition of its outstanding success. From its publication in 2003 Deep Survival had an immediate impact. As the first scientific book on survival, it set the bar and started the trend that spawned a spate of imitations. Groups ranging from the Navy SEALs to the Sloan School of Management at MIT began using it as a learning tool. 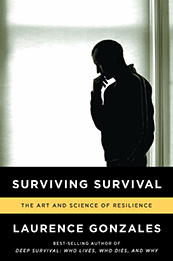 Its appeal has been so broad and deep because the principles in Deep Survival apply to any challenge that life poses, from coping with a financial crisis to battling a life threatening illness or dealing with addiction and recovery. And psychologists, oncologists, business executives, and clergy have brought the principles of Deep Survival to their clients to help them face adversity, to manage risk, and to enhance decision making in every form. 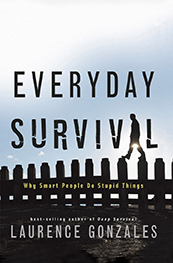 Read this new edition and see why so many people continue to praise Deep Survival. You won't be disappointed. 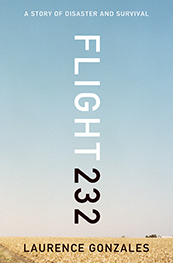 In FLIGHT 232: A Story of Disaster and Survival, Laurence Gonzales re-creates, minute by minute, the harrowing journey, not only of those inside the doomed plane but also those who had to meet it on the ground and those who had to treat the wounded, attend the dead, and pick up the many pieces. Through exhaustive research and extensive interviews with everyone from air traffic controllers to rescue workers, survivors to the pilots themselves, Gonzales crafts a riveting tale of heroism and triumph in the face of death. 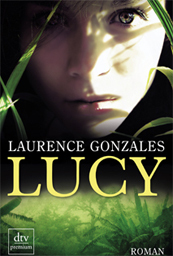 These are the essays that shaped Laurence Gonzales's unique voice and insight for such best sellers as his Deep Survival. From the depths of a maximum security prison to the cancer ward, from the insane asylum to the World Trade Center, Gonzales puts you there in the middle of the action with a skill that grips you from the first sentence. If you or someone you love has suffered a traumatic experience, it won’t simply go away when the experience is over. Learn what these survivors did to get on with their lives once their nightmare ordeals ended. While Deep Survival was a book about how an individual gets into trouble and gets out again, Everyday Survival is an exploration of science and philosophy aimed at changing the way you view your world. It proposes that only by changing the way we view our world—and our position in it—can we survive as a civilization and even a species. Everyday Survival seeks to ask questions such as: How did life originate from the natural laws we know? How does life function in accordance with those natural laws? Are people governed by those natural laws, or can we do anything we want? What is the ultimate cost of the way we now live? If we are so intelligent, how do we get ourselves into such terrible trouble? Where did the human race come from? What are we meant to do here? Is there a future for the human race? Can we stop killing one another? What will the world be like when our first graders are 65 years old? If questions like those interest you, then read Everyday Survival. 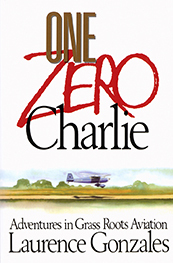 Laurence Gonzales's classic aviation book about learning to become a stunt pilot at a small airfield in the Midwest. Primatologist Jenny Lowe is studying bonobo chimpanzees deep in the Congo when she is caught in a deadly civil war that leaves a fellow researcher dead and his daughter, Lucy, orphaned. Realizing that the child has no living relatives, Jenny begins to care for Lucy as her own. 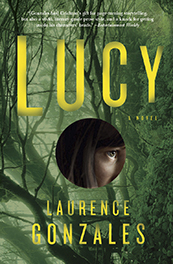 But as she reads the late scientist's notes, she discovers that Lucy is the result of a shocking experiment, and that the adorable, magical, wonderful girl she has come to love is an entirely new hybrid species. Das Mädchen Lucy wächst im afrikanischen Dschungel bei ihrem Vater, einem englischen Naturforscher, in völliger Abgeschiedenheit auf. Als er stirbt, bleibt sie allein zurück. Durch Zufall findet die amerikanische Wissenschaftlerin Jenny sie und nimmt sie mit nach Amerika. Lucy ist hübsch und sehr begabt. Was niemand ahnt: Sie ist das Ergebnis eines unglaublichen Experiments, ihr Erbgut eine Kreuzung zwischen dem von Mensch und Menschenaffe. Irgendwann lässt sich das nicht mehr geheimhalten - und Medien, Militär und Wissenschaftler beginnen eine erbarmungslose Jagd auf Lucy.